We have our special product cataorgy in home furnish which is tottly made by handmade and made by specialest artisest. who are highly exprenced in furniture industry. We have our home furnishing products made iron, Wood, Brass, Copper, Stone, Marble, Textile, Rugs, Wall decor, Frames, Tables, Stools, Chaires, Lamps & Lights, sculpture etc. Packaging Type Very fine export qulity passed with drop test. 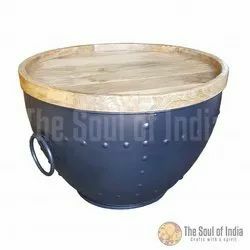 Metal bowl in round shape with new mango wooden top. Metal in DA grey powder coating finish. Hand Made Table made in one piece of iron sheet. Export Qulity with finel export packing 219 Euro price FOB MOQ 50 Pieces. Packaging Details: 219 Euro Price FOB MUMBAI WITH GOOD QUALITY EXPORT SINGLE PACKING EACH PIECES COVERED WITH BUBBLE SHEET AND SINGLE PIECE IN A STRONG BOX ALONG WITH HEARD BOARD CORNER ENGLES TO MAKE PACKAGING STRONG. WITH DROP TEST PASS. 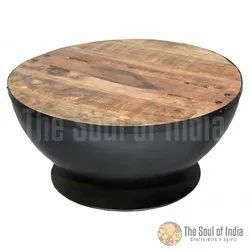 Metal Bowl In Round Shape With New Mango Wooden Top. Metal In Plain Metal Finish. Measurements in cm: H 36 X W 90 X D 90Weight in Kg: 17.00Category: Coffee Tables. Packaging Type Export Packing With fine Qulity. Dolki coffee table made of reclaimed wood on metal base. Metal in powder coated finish. Wood finished with matt lacker. Measurements in cm: H 38 X W 70 X D 70Weight in Kg: 18.00Category: Coffee Tables. Hand Made Table made in one piece of iron sheet and reclaim wood. Export Qulity with finel export packing 199 Euro price FOB MOQ 50 Pieces. Packaging Details: 199 Euro Price FOB MUMBAI WITH GOOD QUALITY EXPORT SINGLE PACKING EACH PIECES COVERED WITH BUBBLE SHEET AND SINGLE PIECE IN A STRONG BOX ALONG WITH HEARD BOARD CORNER ANGLES TO MAKE PACKAGING STRONG. WITH DROP TEST PASS. Standing coat rack made of metal and new mango wood. The top is rotating. Metal in mix grey powder coating finish. Twelf hooks and storage space for umbrelle and hand cloths. Measurements in cm: H 135 X W 60 X D 60Weight in Kg: 23.00Category: Standing Coat Racks. Hand Made Coat Rack made by mango wood and iron sheet. Export Qulity with finel export packing 249 Euro price FOB MOQ 50 Pieces. Folding with 3 parts, easy to assamble. Rotating coat hanger or cloth hanger with storage capaciy and umberala stand. Packaging Details: 249 Euro Price FOB MUMBAI WITH GOOD QUALITY EXPORT SINGLE PACKING EACH PIECES COVERED WITH BUBBLE SHEET AND SINGLE PIECE IN A STRONG BOX ALONG WITH HEARD BOARD CORNER ENGLES TO MAKE PACKAGING STRONG. WITH DROP TEST PASS. 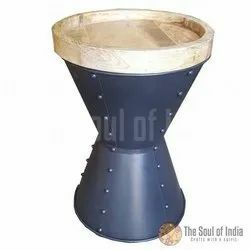 Metal stool with bossom design en in dark grey color and small tray made of mango wood. Measurements in cm: H 47 X W 33 X D 33Weight in Kg: 8.00Category: Coffee Tables. Coffee table with round top 70 cm, metal bowl with new mango wooden and two valves in top te create storage room. Metal in mix grey powder coating finish. Measurements in cm: H 34 X W 70 X D 70Weight in Kg: 18.00Category: Coffee Tables. Hand Made Table made in one piece of iron sheet. Export Quality with final export packing 199 Euro price FOB MOQ 50 Pieces. Packaging Details: 19+9 Euro Price FOB MUMBAI WITH GOOD QUALITY EXPORT SINGLE PACKING EACH PIECES COVERED WITH BUBBLE SHEET AND SINGLE PIECE IN A STRONG BOX ALONG WITH HEARD BOARD CORNER ANGEL TO MAKE PACKAGING STRONG. WITH DROP TEST PASS. Coffee table with round top 70 cm, metal bowl with new mango wooden top with two valves to create storage room. Metal in DA grey powder coating finish. Measurements in cm: H 34 X W 70 X D 70Weight in Kg: 19.00Category: Coffee Tables. Packaging Details: 199 Euro Price FOB MUMBAI WITH GOOD QUALITY EXPORT SINGLE PACKING EACH PIECES COVERED WITH BUBBLE SHEET AND SINGLE PIECE IN A STRONG BOX ALONG WITH HEARD BOARD CORNER ENGLES TO MAKE PACKAGING STRONG. WITH DROP TEST PASS. Coffee table with round top 70 cm, metal bowl with reclaimed wooden top with two valves to create storage room. Metal in broken white powder coating finish. Metal Bowl In Mix Grey Powder Coating Finish With Big Handles And Tray Made Of New Mango Wood. Measurements in cm: H 40 X W 60 X D 60Weight in Kg: 16.00Category: Coffee Tables. Hand Made Table made in one piece of iron sheet. Export Qulity with finel export packing 168 Euro price FOB MOQ 50 Pieces. Packaging Details: 168 Euro Price FOB MUMBAI WITH GOOD QUALITY EXPORT SINGLE PACKING EACH PIECES COVERED WITH BUBBLE SHEET AND SINGLE PIECE IN A STRONG BOX ALONG WITH HEARD BOARD CORNER ENGLES TO MAKE PACKAGING STRONG. WITH DROP TEST PASS. 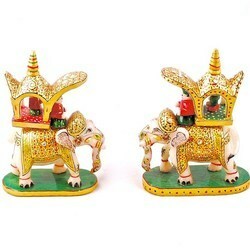 The Pair of Royal Elephant Ambabari is made of Marble. 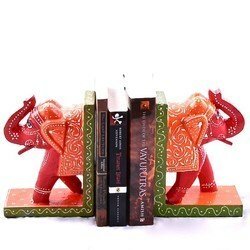 And painted by natural & enamel(meena) colors. It is a handmade article. 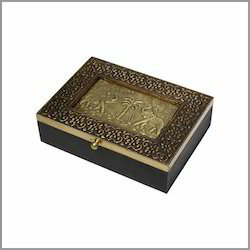 Made by the hands of Skilled Artisans.